In the last few days I’ve been feeling tired and depressed, not only because of my current job, but also because I am working on my dissertation to finish my Master degree. Desmotivation has been a word of order. Procrastination has been my favorite activity. Well, all students know what I am talking about when everything, really EVERYTHING seems more interesting than writing a thesis and analyze data. Even washing dishes seems the most amazing thing to do. When I found myself like this, I look for inspiration. And do I keep finding inspiration to keep going, to not give up, to not be stressed out and completely desperate? On Disney. This endless source of inspiration. During two entire days my Minnie ears were my crown. 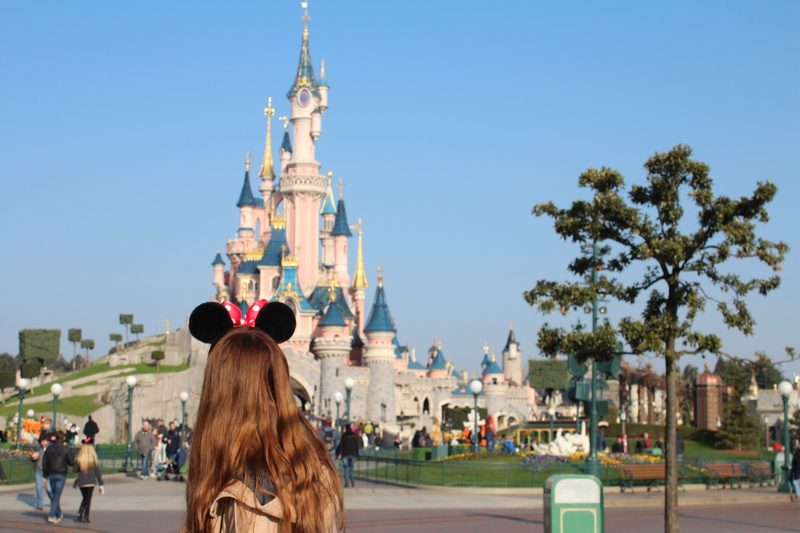 I’ve already told how I felt in the hours I spent in Disneyland Paris. So, come on! I have to keep working and to keep believing. If someone is out there stressing out with finals, with dissertations and final projects, with work, with LIFE…. Remember! “It was all started by a mouse”. Life is full of surprises, and let’s keep hoping that things will get better. That’s a great picture. I hope you’re doing better after your trip. Good luck with school. Dissertations are SO hard! Hang in there! The best part about dissertation work is that someday it will end!